Mallorca is absolutely buzzing with great restaurants. Here you will find traditional tapas as well as trendy and crowded spots (worth the wait). I would say it’s the perfect destination for a hungry foodie. Yummy Mexican food and ice cold margaritas. What more could you ask for? Bring your friends and family to this popular restaurant and enjoy everything on the menu. This bar and restaurant in Santa Catalina serves street food with influences from both South America and Asia. Tasty and exciting flavours, and the cocktails ain’t that bad either. Serves bort half and full-size portions. Michelin-starred restaurant serving Mediterranean cuisine. Perfectly cooked ingredients, lovely service and a very well priced lunch menu. I love this place! Relaxed atmosphere, amazing dishes and a cool vibe. A very popular spot so remember to reserve a table in advance. Motto: “It’s not a diet, it’s a lifestyle”. Great place for a breakfast that will give you that all-day energy. Organic and locally grown ingredients. You’ve got to eat a lot of tapas while in tapas land. Gaudeix is a cute bodega with both traditional options as well as new and exciting ones. If you are heading to Valldemossa – don’t miss this place. Crowded, but absolutely delicious. Do: Buy a bottle of their amazing red wine to go. If you go to this crazy European city of tulips, beer and weird smelling coffee shops, do not miss to stop by these places. And not to forget, pictured above: Try some poffertjes with butter and powdered sugar! Yummy Dutch treat. The Portugese kitchen has many influences from the Mediterranean, and the country also has Europe’s highest fish consumption per inhabitant. But Lisbon’s restaurants have a lot more to offer. Here is a wide range of exciting places with influences from around the world. Lisbon is one of the few cities where I have had dinner twice in the same evening. Make your stay in Lisbon both fine and price worthy. A hotel I would love to return to is the beautiful H10 Duque de Loulé with its top location, cosy rooms and gorgeous interior. Five starred Porto Bay Liberdade is also a great hotel I’ve stayed at. It’s very well located and has great amenities like a spa, a pool and a really nice bar. A road trip through California is one of the coolest trips I’ve ever made. The American state has an incredibly beautiful and varied climate, from Venice’s hot sun and sandy white beaches to San Francisco’s fresh (but pretty cold) winds. Here are five of my favourite places along the way. Venice Beach Boardwalk is not to be missed. Enjoy the laid-back atmosphere while walking along the white sandy beaches. Where to eat: Urth Caffé is a great breakfast stop either before or after you visit Venice. Order their speciality, green matcha latte, and don’t forget to try the delicious homemade organic oven-roasted granola. I know Las Vegas is in Nevada and not in California, but to experience this city is worth a couple of extra hours in the car. Just driving through the desert is an adventure, not to mention when you get to see all the lights that illuminate Las Vegas by night. Where to eat: Hakkasan Restaurant is an excellent evening spot for fine dim sum and exclusive cocktails. Drive along Highway 1 and the Big Sur region that has some of the most dramatic views. A must! Where to eat: Big Sur Bakery is a really popular bakery and restaurant. Be there early to grab some of their delicious pastries! Pacific Grove is a cozy coastal town north of Big Sur. Stroll along the beach, have a spontaneous wine tasting or a tasty beer at Canery Row Brewing Company and indulge this beautiful idyllic place. Where to eat: At Passionfish you will find tasty dishes with fresh, local ingredients selected from small sustainable farms and fisheries. What is a road trip through Cali without a visit to San Francisco? Here you will find both city pulse and relaxation. Where to eat: Click here to read about my favorites for breakfast, lunch and dinner in San Fran. 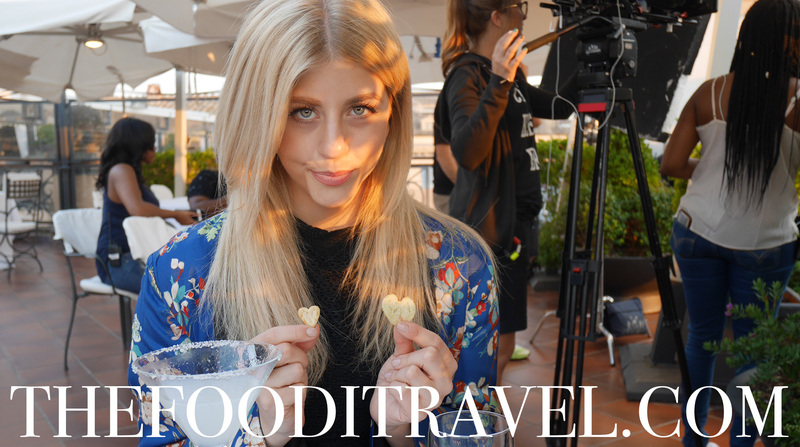 Follow The Food I Travel on Bloglovin! 6 January, 2017 15 July, 2017 by Ida KällLeave a Comment on Follow The Food I Travel on Bloglovin! Click here to follow my blog on Bloglovin. Here are some of my favorite places for a short weekend in London. Eat where you stay and save time for other things rather than searching for a breakfast location on the town. Soho House has a small but good breakfast menu. The green juice is great. Oxford Street is close to Roka and has both Selfridges and an enormous Topshop store. The bar Forest on The Roof inside Selfridges is a nice stop for a drink. From here you can walk to Hyde Park (and Winter Wonderland during the winter), or take a longer walk or the subway to Harvey Nichols or Harrod’s. Do not miss the chocolate at Harrod’s if you go there! Sweet potato fritters with pineapple and saffron and coconut curry at Foley’s, London. A London visit is probably not complete without afternoon tea. You have a lot of options, from tea-tox without sugar and gluten at trendy Brown’s Hotel, Wyld Tea at Mondrian Hotel or traditional afternoon tea luxury at Claridge’s.